Samsung invites people to visit Samsung at Mobile World Congress 2013 in Barcelona! 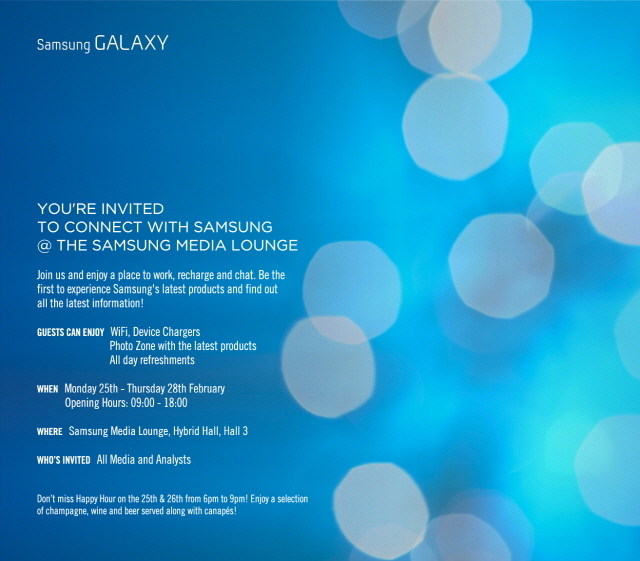 Samsung we can tell you SamMobile will visit your stand at MWC! We can’t wait to see the new Mobile World Congress and missing Samsung isn’t that easy. Samsung has one of the biggest halls at Mobile World Congress 2013! Make sure to follow us on twitter! SamMobile will announce some nice givaways! Is Samsung also offering to pay for my travel and accommodation?